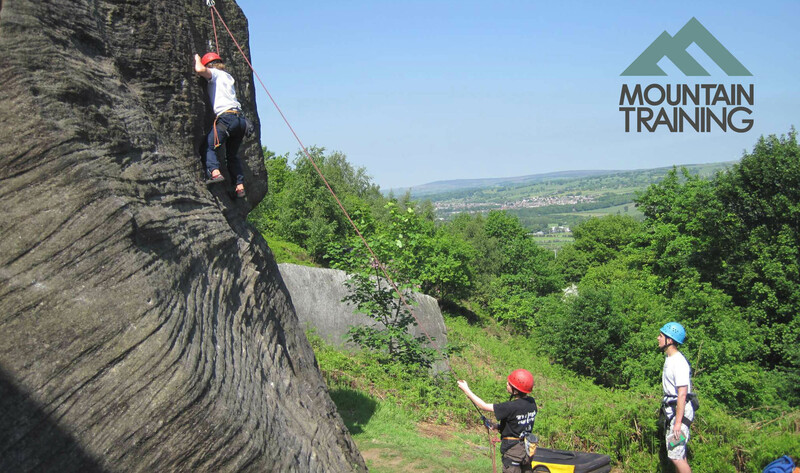 Our experienced and qualified staff run the nationally recognised Mountain Training Rock Climbing Instructor (RCI) training and assessment courses (Formally known as the Single Pitch Award or SPA). They are fantastic at helping you get the most out of an assessment using some of the stunning locations around the Yorkshire Dales and Moors. This is Gritstone and Limestone country so you are guaranteed to find yourself at some of the best single pitch crags in the North. We have Brimham Rocks right on our doorstep and some great local climbing walls too. We also have a wide selection of up-to-date kit that you can access on the course. We run at least one training and one assessment course every year, however if there are 4 or more of you wanting to do a training or assessment course, additional courses can be arranged. The course content will follow the Mountain Training syllabus for the RCI however within this the course can be tailored to fit individual needs. This course can be non-residential if required. The stated cost is for a residential course with full board. To attend an RCI Training or Assessment course you must meet the pre-requisites laid down by Mountain Training. To find out the pre-requisites and syllabus for these awards please look on the Mountain Training website.